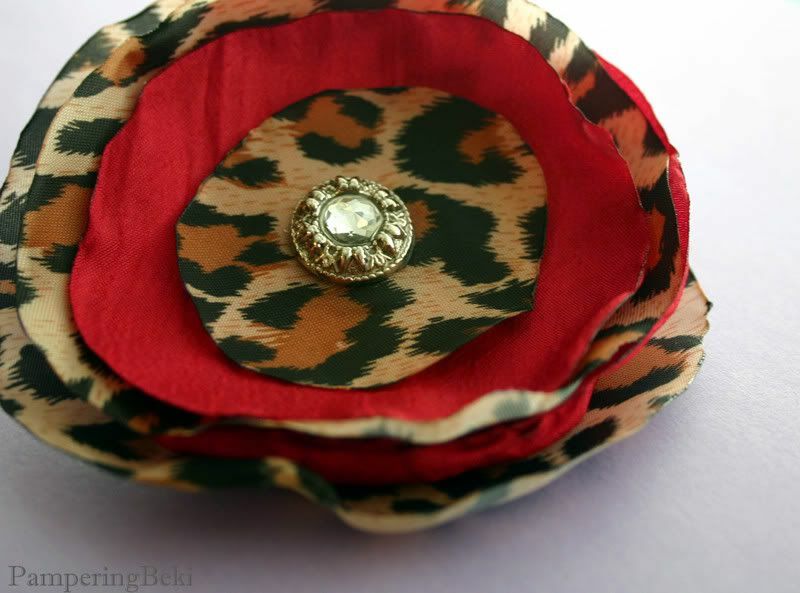 I plan to do more brooches like this with a variety of fabrics. Any special requests? Polka dots? Patterns? Certain colors you'd like to see? Wow, that is pretty..You did a wonderful job.. I LOVE that. I would totally buy and wear something like that. Very cute!! I would love to see pink, brown, and polkadots! And a silk flower in the middle with the jewel. =) or black and pink...lol. I love your bog!